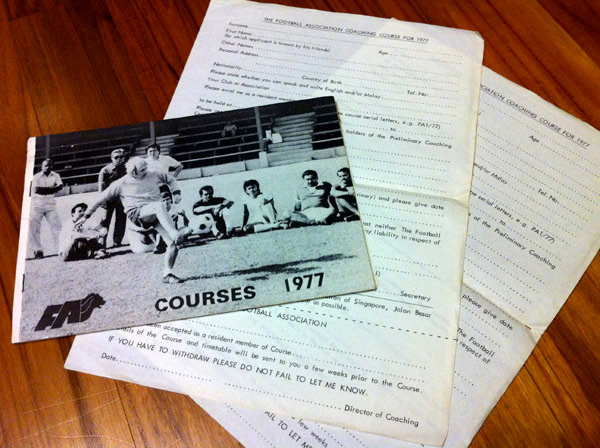 #4: FAS coaching course booklet and application form from 1977. 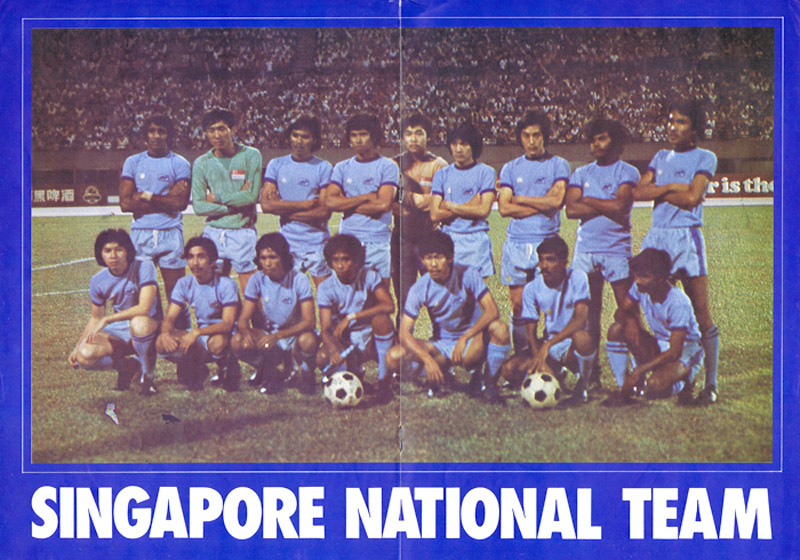 The courses, of which there were 17 that year, were conducted by the Football Association of Singapore’s director of coaching Trevor Hartley. A former West Ham player, Hartley had managed English lower division side Bournemouth before arriving in Singapore in 1977. Aside from setting up the beginnings of the FAS’ modern-day age-group structure, Hartley also coached the Lions for a number of Malaysia Cup campaigns. He later became assistant manager at Tottenham Hotspur before returning to South-East Asia to manage Malaysia’s national team. In 1977, the first six coaches (out of 30 entrants) to pass Hartley’s advanced coaching course were Mat Ariff Bujang, Jita Singh, Yusope Mohammed, Chan Siew Kay, Ibrahim Awang and Abdul Manan Shariff. The six began coaching at the FAS-Milo football school, started by Hartley that year. The next three to pass the advanced course were former national team captain Seak Poh Leong, John Fernandez and a hockey umpire, Koh Boon Long. Hartley’s ultimate goal was to have qualified coaches at all 30 National Football League clubs. The style mesti ada museum showcases the weird and wonderful of Singapore football memorabilia. Please email your submissions (in .jpg format) to stylemestiada@gmail.com. All photos will be credited.